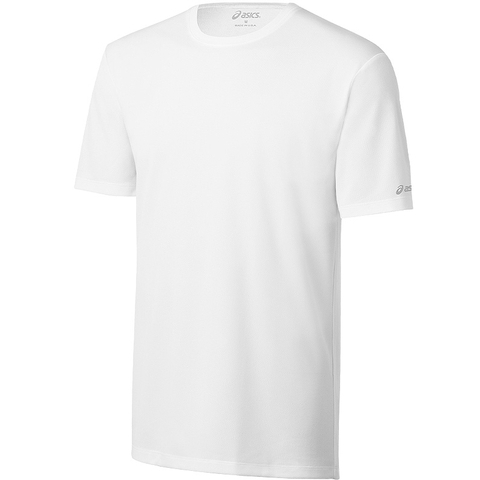 For an everyday training tee, it's hard to beat Asics' Ready-Set Men's Tennis Tee. Combined soft, lilghtweight knit fabric with a host of premium design features such as wrap-around seams and flatlock stitching. Moisture management performance fabric, flatlock seams for reduced chafing, seams wrapped to the back for improved comfort and reflective elements.